Nature is my inspiration. For over 30 years I have been drawn outside to paint "en plein air" throughout all the seasons of the year. My focus is to paint "that special light that transforms a landscape and speaks of a time of day which will quickly pass." Greatly influenced by the Hudson River School painters and the Impressionist movement, Marilyn. is very involved in PleinAir painting activities: She has been invited to take part in a number of Visiting Artist/Art Projects such as the Viewshed Art Project and the Irondequoit Artist of the Year Project, to name but a few. She has won many awards and has taken part in various competitions as an Awards Judge. PleinAir Magazine featured Ms. Fairman in their "Extreme Painting" section about painting in the frigid cold of February in the Adirondack Park of Upstate New York. PleinAir Magazine also wrote an article about her "Favorite Place to Paint" in their PleinAir Today newsletter. She has been invited to and competed in PleinAir paint-outs and festivals throughout the Adirondacks where "painters set up their easels in the same locations where some of the greatest 19th century artists worked." Marilyn earned her BFA at SUNY New Paltz and a Master of Arts Degree in Art Studio at SUNY New Paltz. Over the years, she has taught art and conducted plein air workshops. 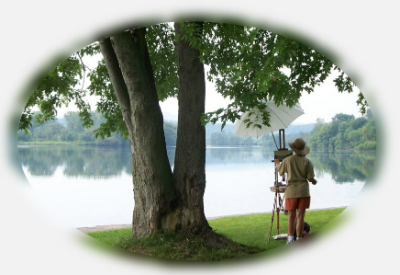 She is a Signature Member of International PleinAir Painters Organization, Signature Member and Past Chairman of New York PleinAir Painters, Charter Member of the Adirondack Mountain School Painters and member of Plein Air Adirondacks.